You tried to do the right thing. 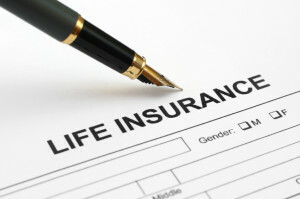 You understood the value of buying term life insurance. You understand the protection it provided your family; how it could replace your income if you died unexpectedly. You even did the really smart thing and got a free term life insurance quote online. The online quote gave you a multitude of options to choose from. The quote showed you the financial stability of each company, the risk of accepting a term with each company, and the price. If you are like most people you went with the lowest price with the highest quality. The right mix worked for you, and you picked the policy. But at some point in the process whether on the front end where you input the rest of your information to get the full quote or after they have run the medical tests on you that you get a flat denial by the insurance company. The first thing you should try to find out is why you were denied by the life insurance company. You can’t react and make the appropriate changes to your life in order to get life insurance if you don’t know why you were denied in the first place. The easiest way to learn? Just ask the insurance company. Many will share the reason with you. Once you know the reason you can adjust your next set of moves in order to get a life insurance policy. Second, you can appeal the life insurance denial. Sometimes the life insurance makes a mistake in processing your information or your medical exam. Many life insurance companies pull data from a national database. If there is a mixup in your information that can lead to a denial. Ask them to review your information again to make sure there wasn’t a mistake. Mistakes don’t happen all the time, but they can happen and it never hurts to double check. If you get denied it can be disappointing and frustrating, but don’t give up. Just because one insurance company denied providing your life insurance it doesn’t mean they all will. You got the value of having life insurance the first time so don’t let one setback keep you from pressing on. Find another company to get a policy through. If you can’t find a life insurance company that will accept a policy on your life due to health or risk reasons, consider buying a no exam life insurance policy. These polices do what they are titled: they provide life insurance without requiring a medical exam. If you were denied for risk reasons you will need to find a company that specializes in high risk cases in order to buy life insurance.